6" High x 3-3/4" Wide x 1-1/2" Proj. 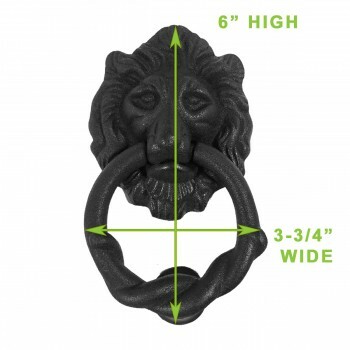 (10) pieces This black cast iron door knocker from Renovator's Supply features an impressive lion's head figure to welcome visitors to your home. 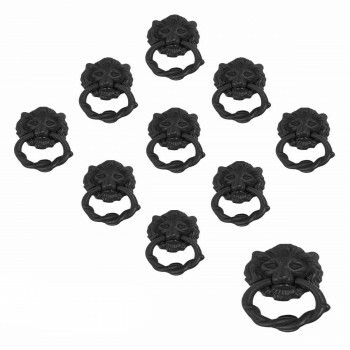 The matte RSF powder coat finish protects from wear and rust. 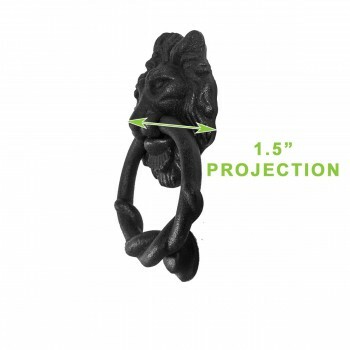 Mounting hardware is included and may be used to mount on any door up to 2-1/4" thick. Installation is a breeze, so before you know it you'll be impressing everyone who comes to your door!